North American Carriers Officially Announce the BlackBerry Bold 9700 | BlackBerry Blast! The major North American carriers have wasted no time officially announcing the new BlackBerry Bold 9700. 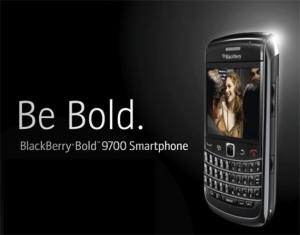 A day after RIM made their announcement AT&T, T-Mobile, Rogers and Canada's Bell have made official announcements for the Bold 9700. The BlackBerry Bold 9700 is believed to be the best BlackBerry to date. Some of the improvements over the BlackBerry Bold include a 3.2 megapixel camera, 360 x 480 display (over a 320x480 on the Bold), an optical trackpad instead of a trackball, and BlackBerry OS 5.0.